Where do you like to watch your favorite sport? The statistic presents the places people enjoyed watching their favorite sports in the United States as of November 2013. 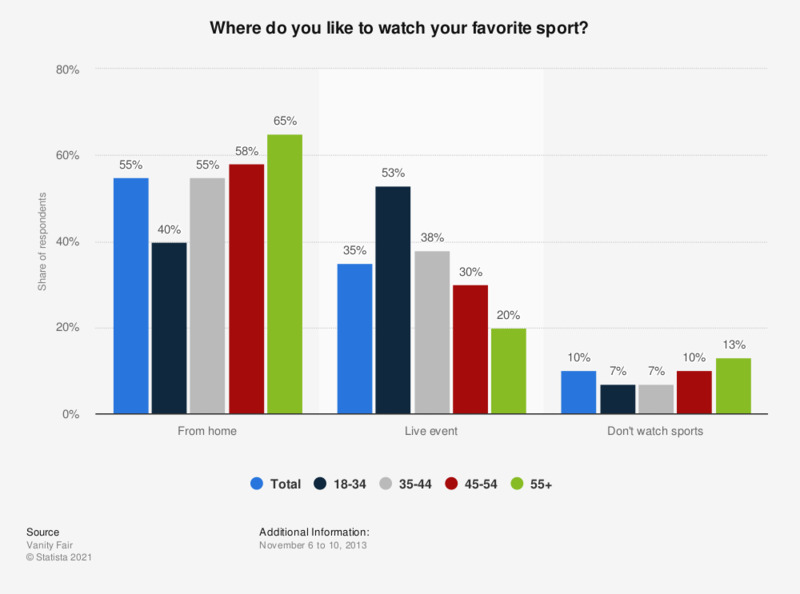 Whereas 53 percent of 18-34 year olds preferred to watch sports at the live event, those above the age of 35 preferred to watch sports from home.